Now available with Spanish, Portuguese and Catalan subtitles! The movement is growing! 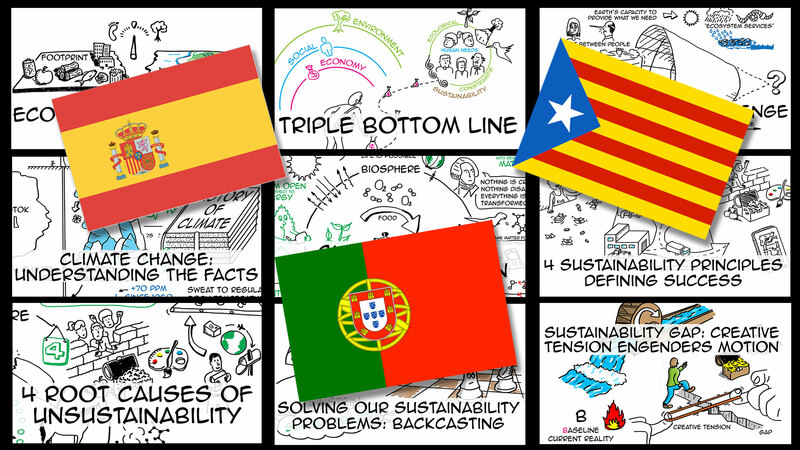 Using the process outlined in our last blog, How to Translate Videos, volunteers from around the world have helped us make 9 of our videos available in Spanish and Catalan and 3 in Portuguese! Special thanks to Josep Simona and Zulma Sofia Patarroyo for our Spanish subtitles and to Alexandra Lichtenberg, Karla Sessin Dilascio and André Ribeiro Winter for our Portuguese ones. Josep Simona also provides our Catalan subtitles. Hurray! To make them easier to access, we organized them all in playlists: See below to explore la sostenibilidad, el desarrollo sostenible, sustentabilidade e desenvolvimento sustentável! To use the subtitles, simply click on the “cc” button at the bottom right corner of the video screen and choose the available subtitle of your choice. Speak more than one language? Want to help make our videos freely available to more people around the world? Check out our last blog and don’t hesitate to contact us with ideas and questions.